One of the most special times of the year for the Christian church is Easter Sunday. Because our Savior defeated the greatest enemies of mankind, death and the devil, we have an abundant reason to celebrate especially on Easter Sunday. Our choir is also practicing and will sing several special songs for the special occasion. We hope each one will do your best to invite family and friends to come and share the Good News of Jesus Christ, our mighty Savior and Lord. Let's all do our part to help spread the Word that Jesus Christ lives today and intercedes at the right hand of God, the Father. Bro. 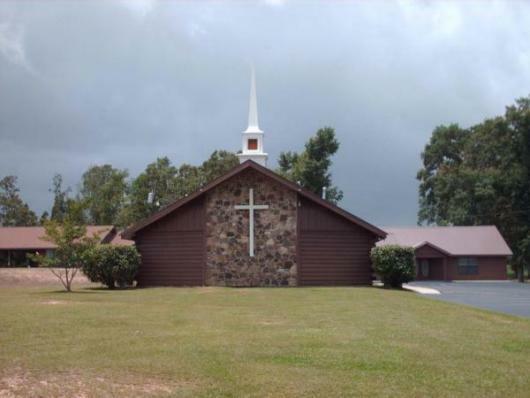 Carl Dickens & Charter Oak has invited our pastor to preach their revival services. Please pray for the revival effort and let's prepare some music to take in order to be a blessing to their church. So many people got on board in February for the last chicken dinner sale as a fundraiser for our trip to the Creation Museum in Dallas, TX. We had lots of positive comments on the dinners and we hope this next one will be just as well received. Bro. James & Mrs. Kathy Daniels can help you get the tickets you need to sell. Also, we have a food donation list in the foyer if you can sign up to help donate food it would be a great blessing. Remember, our young people will benefit from all that we do! Due to our Youth Creation Trip Fundraiser this Friday, we will postpone our Wednesday Night meal fundraiser for the Singing school. We have raised a total of $1,384. Our next Singing School fundraiser meal will be on Wednesday, April 17th. Please let us know if you would like to attend Singing School this summer. On Wednesday night, April 17th, we will have the Lord's Supper at the conclusion of the service. There are many verses of scripture that teach us the importance of receiving the Lord's Supper. Still it is reserved for those who have accepted Christ as Savior and who have been baptized in obedience to His command. We sincerely pray that you will come and be obedient to the words of Christ when He said, "This do in remembrance of me." During the Easter season, especially, let's remember Him and the great sacrifice that He paid in order to save us form our sins. Wednesday Night Meals @ 6 p.m.
WE WILL NOT BE HAVING A MEAL BEFORE THIS WEDNESDAY NIGHT SDERVICES - APRIL 10. We are having meals before church on Wednesday nights to help raise money to send the Gomez girls and any of our young people that would like to attend the singing school this summer. So we encourage you to come and enjoy a great meal and fellowship on Wednesday nights at 6. We have a donation bucket set up so you can make a donation for your meal. Last Wednesday night we had $386 taken up in donations which was added to the Singing School Fund which gives a total of $1049. Please let us know if you would like to attend the singing school. Choir Practice @ 5 p.m. This evening we will start practicing music for our upcoming Easter services. If you can join us we would love to have you come and be part of the choir. This week we will be in Chaper 3. Try to make time during the week to read this chapter. This past week Mrs. Elaine Westmoreland's sister, Mrs. Paulette Beall passed away. The funeral was held on Wednesday and the church fed the family after the service. Please pray for Elaine and their dear family in the loss of Mrs. Paulette. Brother Eugene and Bernice lost a dear aunt and friend to them. Mrs. Beverly Duncan's funeral was held on Wednesday in Amite. 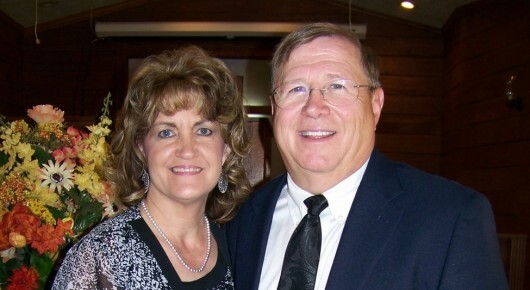 Please pray for her husband, Huey Duncan, in the loss of his dear wife. Prayers for the family of Bro. Robert Earl Vince. Bro. Robert was related to Bro. George and Marie McNeese and he coached many of our church ladies who played high school basketball. Please pray for his dear wife, Mrs. Mary, and for the rest of their family. First and foremost -- reach out to God Almighty in continuous prayers! Reach out to a church for love and support, a family member, and/or a friend. Has facilities in: Hattiesburg, McComb, Carriere, Columbia, Madison, Laurel, Meridian In state of MS only! Don't forget to bring your Valentines! Has been deployed since June of 2019 with hopes of returning shortly. Please continue to lift him and all military in your prayers. We have word that John will be returning to his assigned duty station in the very near furture. If anyone has a member of their family serving in our USA Military and would like to add their name and address to Words of Encouragement, please submit the information to Bible Baptist. We have our new sign up sheet for March. Please sign up to sing! It truly blesses our heart to hear messages from the Lord in song. Mrs. Rena Mae Turnage -- She is at home with continued Home Health care. Please pray for her family as they go through the days ahead. Kay and Jimmy Thomas Family -- Please continue to pray for Mrs. Kay as she is recoperating from her surgery. 2 more treatments to go! Also, pray for Mr. Jimmy' as he gets past surgery. 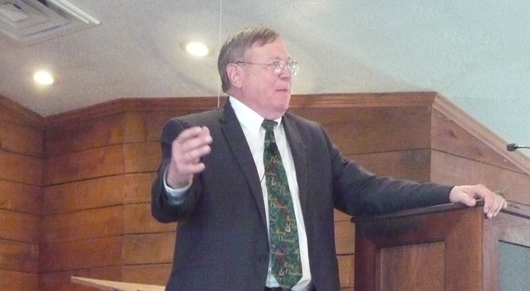 Brother George Galloway -- As a result of stroke, Brother George is having major complications. . Please continue to lift him up in prayer! Ms Pat Barber -- She will begin chemo treatments again for a cancer area in her spine. Ms Pat is currently in the hospital fighting bravely for recovery. Has sat up in the bed for the first time in several days. Please continue to lift her in your prayers. Mrs. Sharon Jan Hartzog -- Please lift her up in prayers as she has been diagnosed with cancer. She had port removed today (January 23, 2019). Plans are for chemo tables for two weeks on and two weeks off, with repeartion once. Then she'll be able to ring the bell! Please keep each one of these families in your prayers as they go through this time in their lives. Pray for all families affected by addictions! New Construction offering for any future expansion that might be needed. We hope you will be prayerful and as God directs you to have a part in this offering, let's be obedient. Our church website has added a new feature. You can create a 'bookmark' for your smart phone (androids also) and view all the church news on the church website right from your phone. We have a section for a Daily Bible Versus (located upper left section of webpage). We are happy to introduce FREE mobile website on each new church website. What this means is that when someone visits your site on a mobile device, it will automatically display a mobile optimized version of the site, with a choice to show the original standard version as well. ** All church websites show perfectly on all IPAD/tablet devices and computers without any Flash software installed. For those churches that want a special flash animation created for their church website homepage, a still image will show instead on those devices that have no flash. 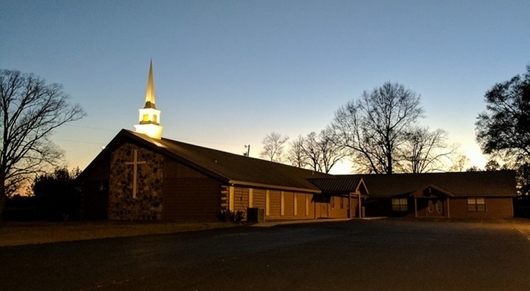 Morning Worship --- 11:00 a.m.
Choir Practice --- 5:00 p.m.
KING'S KIDS & TRAC CLUB --- 5:45 p.m.
Evening Service --- 6:00 p.m.
Wednesday Night Bible Study --- 7:00 p.m.
We are still updating our membership information. Please pick-up a form on the foyer table. We ask that you fill it out and return it to the office as soon as possible where all of our membership information will be updated and complete. To print out the form from webpage: Hover mouse over photo of form, right click, select print. We believe the Holy Scriptures of both the Old and New Testaments to be the Bible, and that the Bible is the Word of God. We believe in verbal, plenary inspiration in the original writings and that the Scriptures are inerrant, infallible, and God-breathed. We believe in one Triune God, eternally existing in three persons—Father, Son, and Holy Spirit, co-eternal in being, co-identical in nature, co-equal in power and glory, and having the same attributes and perfections. We believe that God created the entire universe in six literal, twenty-four-hour days. We believe that the Lord Jesus Christ accomplished our redemption through His finished work on the cross as a representative, vicarious, substitutionary sacrifice and that our justification is made sure by His literal, physical resurrection from the dead. We believe that the Lord Jesus Christ was raised bodily and that He ascended to Heaven and is now exalted at the right hand of God, where, as our High Priest, He fulfills the ministry of Representative, Intercessor, and Advocate. We believe that the Holy Spirit is the Person who reproves the world of sin, of righteousness, and of judgment, and that He is the Supernatural Agent in regeneration, indwelling all believers and sealing them unto the day of redemption. We believe in the reality of the person of Satan and that he and the fallen angels wage a spiritual warfare against the plan and purposes of God. We believe that Satan is a created angelic being who rebelled and who tempted man to join him in rebellion against God. We believe his power is supernatural, yet limited, and that he cannot act without the permission of God. Satan’s eternal end is everlasting torment in the Lake of Fire. We believe that man was created in the image and likeness of God, but that in Adam’s sin the race fell, inherited a sinful nature, and became alienated from God, and therefore man is totally depraved, and, of himself, utterly unable to remedy his lost condition. We believe that the only marriage recognized by Scripture is the joining of one born man and one born woman. We believe that God expressly forbids intimate sexual activity be engaged in outside of the marriage bond. We believe that the clear message of salvation is “repentance toward God and faith toward our Lord Jesus Christ” We believe that salvation is “by grace” plus nothing minus nothing. We believe that Jesus Christ died for every man, and that each individual chooses to accept or reject the grace of God. We believe that men are justified by faith alone and are accounted righteous before God only through the merit of our Lord and Savior Jesus Christ. We believe that all the redeemed once saved are kept by God’s power and are thus secure in Christ forever and that eternal life is the present possession of every believer. We believe the “Blessed Hope” of our Lord’s return is literal, personal, visible, imminent, premillennial, and pretribulational. Believers will be caught up to be with the Lord prior to the seven years of tribulation, and at the end of the tribulation Christ will return with His saints to establish His thousand-year reign on the earth. We believe in the bodily resurrection of all men, the saved to eternal life, and the unsaved to judgment and everlasting punishment. We believe that the souls of the redeemed are, at death, absent from the body and present with the Lord, where in conscious bliss they await the first resurrection, when spirit, soul, and body are reunited to be glorified forever with the Lord. We believe that the souls of unbelievers remain, after death, in conscious misery in hell until the second resurrection, when soul and body are reunited and shall appear at the Great White Throne Judgment to be cast into the Lake of Fire, not to be annihilated, but to suffer everlasting, conscious punishment.